« Fixed + Auto = Fixed Auto Bias ? The Big Coil is finally ready. I must admit, the amount of work associated with its production turned out to be more than initially anticipated. 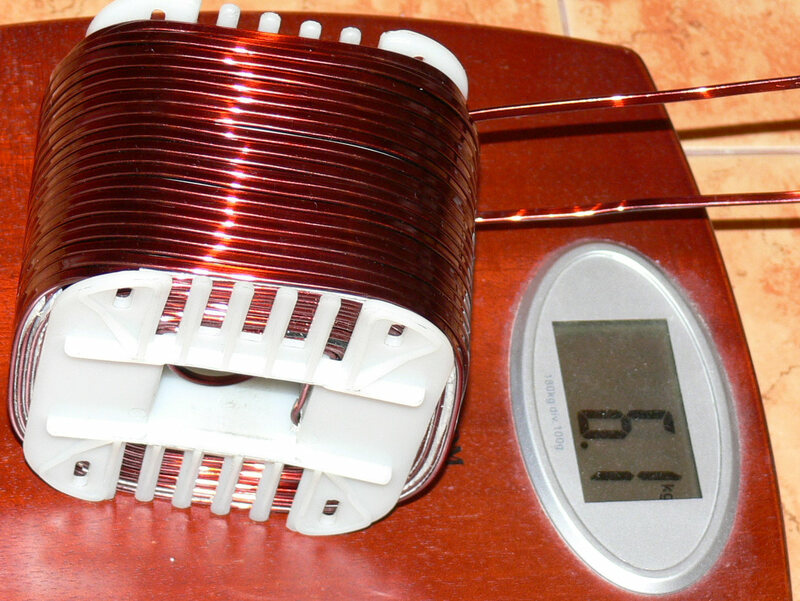 The amount of copper rectangular profile ( 2mm x 3,5mm = 7mm2 ) that was supposed to be sufficient for making two such coils – actually turned out to be just sufficient to produce one coil. The bobbin that I used is from a company called Weisser, the model EI 150a, whereby the “a” means that there is no middle separator wall subdividing the winding area into left and right partitions / halves. As you may have noticed, the bobbin is a bit too small. Also, if you are to consider the optimal “geometry” of the air-core winding, it turns out that for best results, you should strive to obtain a “square” cross-section of the winding area. Therefore, a more optimal bobbin would be something like two sizes bigger, say an EI 174 or maybe an EI 196, but with the “b” designator. You would only use one HALF of the bobbin winding area, leaving the other one totally unused. 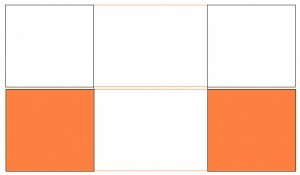 This would allow to obtain a more optimal geometry. By “optimal” I mean the “most” inductance with the “least” length of wire. This would translate into the same target inductance, achieved by less wire, and hence with a resulting even lower DC resistance. The following is a conceptual drawing of the “b” type bobbin and with brown I depicted the “active winding area”. the other half of the bobbin should not be used. This might seem as a “waste” but actually, it is the opposite. The bobbin itself you get for the price of peanuts. But the copper wire or profile – this – price wise – is a TOTALLY different story. 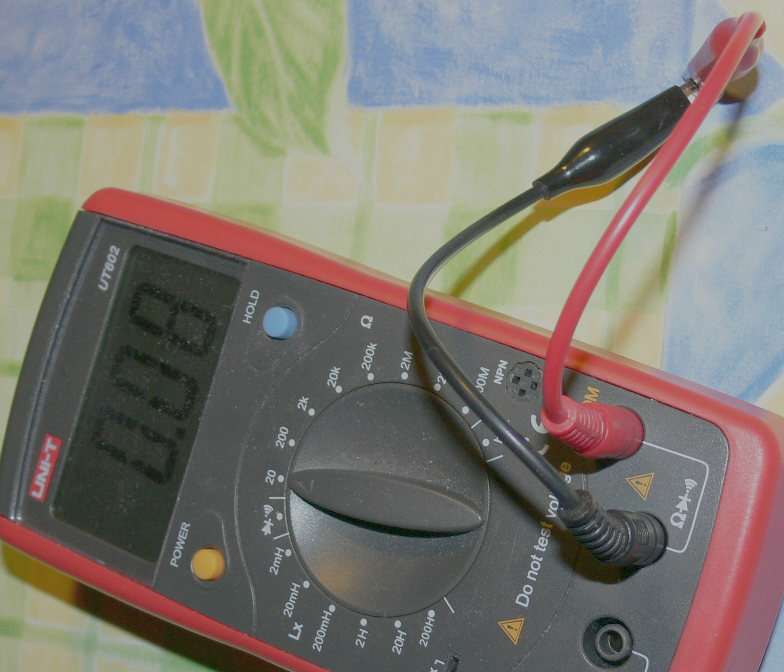 You are better off obtaining your inductance with less wire – it simply turns out cheaper. 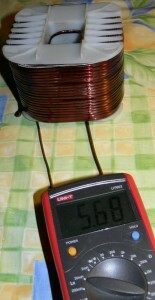 Considering the fact that 1 kg of copper winding profile is at or even above 10 EUR / kg, it tends to make a difference. The upper half of the bobbin is left unused. Please note that the actual “shape” of the brown winding area cross sections is a regular square. This is the shape that you should strive to target and obtain, if maximum inductance-for-buck is to be realized, with minimum DC resistance. 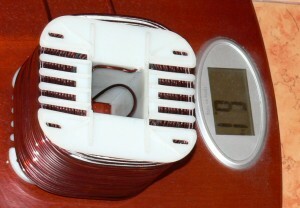 The resulting optimal coil has a somewhat “flat” profile. (This can be verified with any of the air coil inductance winding calculators that are available on the web). If you are considering making / winding your own coils, there is one other thing that you need to consider, be aware of. 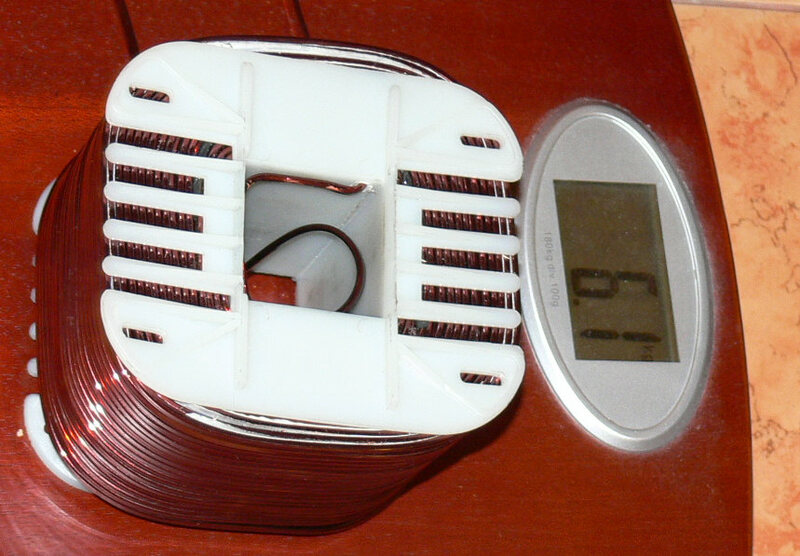 The resulting inductance of the coil is a function of the number or turns SQUARED. This means, for example, that if you “completed” winding 50% of the intended number of turns, you shall observe that the intermediate inductance is only but 25% of the target value ( 50% of 50% = 25% ). On the other hand, if you have measured your inductance achieved thus far, and see that it is only but 50% of what it “should be” – you may get nervous that the space on the bobbin is running out and that you will not “fit” all the necessary windings onto the bobbin. Fret not. 50% of inductance actually means, that you have completed more than 70,7% of the project. 70,7% of the total number of turns is already in place. 70,7% of the total “thickness” of the winding layers is also already there. 70,7% is equal to square_root( 50% ). the length of the coil. In the last formula, you clearly see that the “N squared” is your number of turns. You can also clearly see that the “shorter” the solenoid, the “better”. That is why it is of benefit to use just one half of a bobbin.